Creatura is the first book in The Creatura Series written by Nely Cab. Seventeen-year-old Isis Martin has forgotten what a good night's sleep is. For three months, the constant nightmares of a man trying to kill her had forced Isis awake, leaving her too afraid to go back to sleep. After passing out at school due to sleep deprivation, Isis awakens in the nurse’s office. To her horror, the man Isis had seen so often in her dreams walks into the nurse’s office and takes her from school. David Chios is no killer, however, and has come into Isis’ life in order to ascertain the reason that Isis keeps travelling to his realm at night when she sleeps, regardless of his fruitless attempts to deter her. David worries about Isis’ well-being and safety, as there are many in his world that would rejoice in harming her. Fate has its own plans, however, as Isis and David are drawn to each other by an unknown force. With loved ones trying to forcibly prevent their romance from blossoming and Isis’ mother, Claire, suddenly acting like a love-sick teenager, Isis does her best to keep a level head, knowing that a union between her and David can never be. Little does Isis realize that David carries a deep burden; he knows that Isis is not who she believes herself to be and, should the secret of her true identity be discovered, Isis would never be safe again. I wish I could be honest and say that I am speechless, but that would result in an overly-short book review, so I will simply say how incredible this reading journey was. Firstly, I loved seeing the Goddess’ name used as that of a cherished beauty again, just as it was originally intended. Nely Cab has presented the reader with the story of a girl who, at first, is plagued by a PTSD-like sleeping disorder, but that theory is turned on its head when the man from her dreams appears in real life. The back story of each character, including what they are and why they are there, is delivered in great detail, giving them depth and a real presence in the tale. Creatura delves into different worlds, different beings, different times and the resultant offspring of different species which are good or evil. The romantic aspect of the story set my heart aflame, regardless that their love was forbidden. Isis’ former boyfriend is mentioned in passing now and again, but returns as a vital character in the scheme of things. 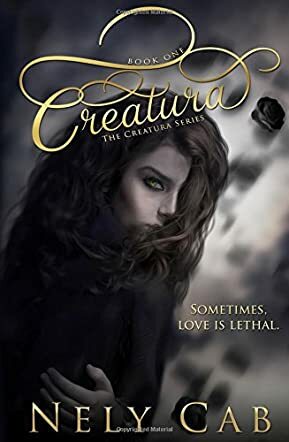 I cannot stress enough how much I enjoyed Creatura and how delighted I am that it is the first in a series of books, which I will be sure to add to my personal collection. I recommend Creatura to readers who enjoy humor, mystery, tragedy, action, thrill and romance combined in an incredible paranormal adventure. Thank you so much for the review, Readers' Favorite!